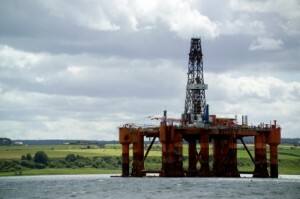 Scotland’s proposed oil fund: more than just hot air? Posted 13th March 2012 & filed under Blog, Environment, Government Debt. While giving a lecture at the London School of Economics on 15 February, the Scottish first minister Alex Salmond made headlines with a radical suggestion. He proposed that if Scotland becomes independent following a public referendum (possibly in 2014), he would use some of the tax revenues generated by its oil and gas industries to create a sovereign wealth fund for future generations. Under his plan, the Scottish government would earmark around a tenth of total tax revenues from the oil and gas industries to be invested in a special fund. At present levels, the amount being paid in would total about £1 billion each year. As with similar funds in other countries, this money would then be invested in the stock market to build up a pot that could help future generations. Similar schemes exist in other countries, particularly those which have large amounts of natural resources. Norway’s sovereign wealth fund is one of the best examples. This is known as the Government Pension Fund of Norway, because it was established to pay the government’s pension liabilities. The Norwegian government pays most of the tax receipts generated by the oil and natural gas industries into this fund, as well as dividends from the state-owned oil company Statoil and fees from issuing extraction licences. This is now the world’s largest pension fund, with a value in December 2011 of 3.37 trillion Norwegian kroner (£371 billion). Its investments mean that the Norwegian government owns 1% of all global equity markets, and nearly 2% of all European stocks. The fund is predicted to keep growing over the next three decades as Norway continues extracting oil, meaning the benefits of this strategy should continue to be felt long into the future. The fund also has very strong ethical guidelines which force its managers to exclude from investment companies that engage in unethical practices, such as manufacturing weapons or profiting from tobacco. Investing in this fund has forced the Norwegian government to make sacrifices in present-day expenditure in order to benefit people in the future. Overall, this has accomplished two very good things for future generations of Norwegians: providing them with fair, sustainably-funded pensions, and allowing the country to pay off the whole of its national debt. The big question is, could a Scottish sovereign wealth fund do the same? Importantly, an independent Scotland would have roughly the same population as Norway (around 5 million people), so it should in theory be viable for them to follow the same strategy. However, on a practical level Scotland’s oil and gas reserves are already in decline, meaning the stream of revenue will not be as predictable (although this could be counterbalanced if the price of oil keeps going up, making the dwindling supplies more valuable). Bearing in mind that this strategy will only reach fruition if Scotland becomes independent, it’s also worth pointing out that no-one yet knows what the implications of independence for the Scottish economy would be. No-one knows if an independent Scotland would gain access to the European single market in its own right straight away, or how British- and foreign-owned oil companies would feel about continuing their operations in Scotland under the new system. It would really be a case of entering uncharted territory for the first time. Robbing current generations… and future people? Beyond these difficulties, there are two potentially serious flaws with this proposal. One is practical, the other moral. From a practical point of view, this scheme runs into the significant problem that Scotland currently spends all its oil revenue already, as a think tank called The Centre for Public Policy for Regions recently argued. Historically, levels of public spending in Scotland are higher than in England, partly paid for with the bounty of natural resource revenues. This raises ethical and economic questions about how Scotland would pay for this fund, as in order to do so it would have to cut present-day public expenditure. While governments need to do more to think long-term about the rights of their future citizens, whether their interests should be treated preferentially to those who are currently alive requires a complex moral debate. On a more philosophical level, there is an inherent contradiction in a plan which supports future generations through the profits gained from the sale of hydrocarbons. This is a tension that is apparent in most sovereign wealth funds around the globe. Future generations will be benefiting from something that is widely believed to be contributing to global warming and inflicting long-term damage to their environment.